Python is installed in a local directory. File "mountain.py", line 28, in ? I have already checked sys.path and there I have the directory /site-packages. Also, I have the file __init__.py.bin in the toolkit folder to indicate to Python that this is a package. I also have a __init__.py.bin in the examples directory. I do not know why Python cannot find the file when it is in sys.path. Any ideas? Can it be a permissions problem? Do I need some execution permission? You edited __init__.py on windows. The windows editor added something non-printing, perhaps a carriage-return (end-of-line in Windows is CR/LF; in unix it is LF only), or perhaps a CTRL-Z (windows end-of-file). You used WinSCP to copy the file to your unix box. WinSCP thought: "This has something that's not basic text; I'll put a .bin extension to indicate binary data." The missing __init__.py (now called __init__.py.bin) means python doesn't understand toolkit as a package. You create __init__.py in the appropriate directory and everything works... ? To make import walk through your directories every directory must have a __init__.py file. 1) Change directory (cd) to the directory above the directory where your files are. In this case, you're trying to run the mountain.py file, and trying to call the toolkit.interface.py module, which are in separate directories. In this case, you would go to the directory that contains paths to both those files (or in other words, the closest directory that the paths of both those files share). Which in this case is the toolkit directory. This sets your PYTHONPATH to ". ", which basically means that your PYTHONPATH will now look for any called files within the directory you are currently in, (and more to the point, in the sub-directory branches of the directory you are in. So it doesn't just look in your current directory, but in all the directories that are in your current directory). 3) After you've set your PYTHONPATH in the step above, run your module from your current directory (the toolkit directory). Python should now find and load the modules you specified. Hope this helps. I was quite frustrated with this myself. The file needs to be called exactly __init__.py. If the extension is different such as in my case .py.bin then Python cannot move through the directories and then it cannot find the modules. To edit the files you need to use a Linux editor, such as vi or nano. If you use a Windows editor this will write some hidden characters. Another problem that was affecting it was that I had another Python version installed by the root, so if someone is working with a local installation of python, be sure that the Python installation that is running the programs is the local Python. To check this, just do which python, and see if the executable is the one that is in your local directory. If not, change the path, but be sure that the local Python directory is before than the other Python. To mark a directory as a package you need a file named __init__.py, does this help? Yup. You need the directory to contain the __init__.py file, which is the file that initializes the package. Here, have a look at this. The __init__.py files are required to make Python treat the directories as containing packages; this is done to prevent directories with a common name, such as string, from unintentionally hiding valid modules that occur later on the module search path. In the simplest case, __init__.py can just be an empty file, but it can also execute initialization code for the package or set the __all__ variable, described later. You must have the file __ init__.py in the same directory where it's the file that you are importing. 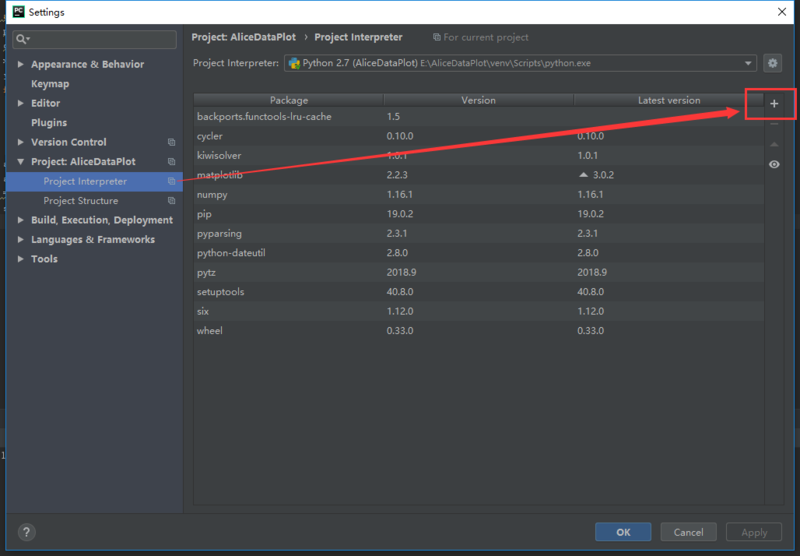 You can not try to import a file that has the same name and be a file from 2 folders configured on the PYTHONPATH. And, if you are trying to import foo file, python will not know which one you want. If you're using a module compiled in C, don't forget to chmod the .so file after sudo setup.py install. In my case, the problem was I was linking to debug python & boost::Python, which requires that the extension be FooLib_d.pyd, not just FooLib.pyd; renaming the file or updating CMakeLists.txt properties fixed the error. This confused the hell out of me - went through posts and posts suggesting ugly syspath hacks (as you see my __init__.py were all there). Well turns out that game/oblivion.py and game/oblivion was confusing python which spit out the rather unhelpful "No module named RecordGroups". I'd be interested in a workaround and/or links documenting this (same name) behavior -> EDIT (2017.01.24) - have a look at What If I Have a Module and a Package With The Same Name? Interestingly normally packages take precedence but apparently our launcher violates this. EDIT (2015.01.17): I did not mention we use a custom launcher dissected here. My problem was that I added the directory with the __init__.py file to PYTHONPATH, when actually I needed to add its parent directory. If you have tried all methods provided above but failed, maybe your module has the same name as a built-in module. Or, a module with the same name existing in a folder that has a high priority in sys.path than your module's. To debug, say your from foo.bar import baz complaints ImportError: No module named bar. Changing to import foo; print foo, which will show the path of foo. Is it what you expect? If not, Either rename foo or use absolute imports. You are reading this answer says that your __init__.py is in the right place, you have installed all the dependencies and you are still getting the ImportError. You can use insert/append based on the order in which you want your project to be searched. Fixed my issue by writing print (sys.path) and found out that python was using out of date packages despite a clean install. Deleting these made python automatically use the correct packages. After just suffering the same issue I found my resolution was to delete all pyc files from my project, it seems like these cached files were somehow causing this error. Easiest way I found to do this was to navigate to my project folder in Windows explorer and searching for *.pyc, then selecting all (Ctrl+A) and deleting them (Ctrl+X). I faced the same problem: Import error. In addition the library've been installed 100% correctly. The source of the problem was that on my PC 3 version of python (anaconda packet) have been installed). This is why the library was installed no to the right place. 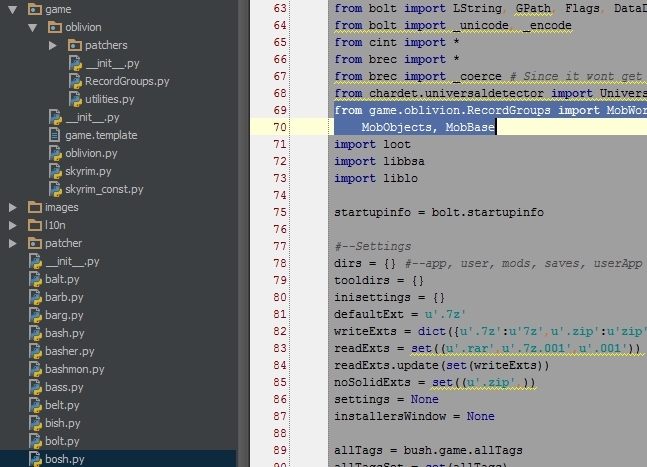 After that I just changed to the proper version of python in the my IDE PyCharm. I had the same error. It was caused by somebody creating a folder in the same folder as my script, the name of which conflicted with a module I was importing from elsewhere. Instead of importing the external module, it looked inside this folder which obviously didn't contain the expected modules. From this I can conclude that Package-Names (folders) like 'booklet' must start from lower-case, else Python confuses it with Class names and Filenames. Apparently, this was not your problem, but John Fouhy's answer is very good and this thread has almost anything that can cause this issue. So, this is one more thing and I hope that maybe this could help others. In my case I was including the path to package.egg folder rather than the actual package underneath. I copied the package to top level and it worked. Then, all you needed package will be installed in you project custom 'venv' folder. Hope it will be useful for you as well ! Not the answer you're looking for? Browse other questions tagged python importerror python-import or ask your own question. How to make my Python module available system wide on Linux?